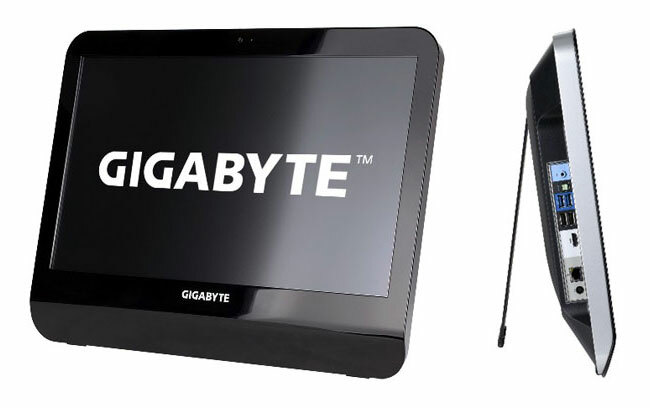 Gigabyte has unveiled their latest all-in-one PC this week in the form of the Gigabyte GB-AEDT Whitebox which is a 21.5 inch system based on Intel’s Thin Mini-ITX standard. The beauty of the is that it can be upgraded using integrated and standardised modules enabling you to upgrade its components in the future if needed. The Gigabyte GB-AEDT is equipped with a full HD touchscreen display and comes supporting Intels 32nm LGA1155 processors and up to 8GB of DDR3-1333 memory. Its also fitted with HDMI, optional TV tuner card and 4-in-1 memory card reader. Other features include : SuperSpeed USB 3.0, GbE LAN, a pair of 3W HD speakers, slim-type optical bay, mSATA slot, and ErP (Energy–Related Products Directive) compliance. Gigabyte has yet to release any information on shipping dates or the availability of its Gigabyte GB-AEDT all-in-one PC. But as always we will keep you updated.